Rock in a Weary Land, Shelter in a Time of Storm. $13.65 plus $3.50 shipping. Includes tax. This book tells the story of the African-American experience in Waterford, Virginia, from their arrival in the mid-1700s to their gradual exodus in the latter half of the 20th century. Though they never numbered more than a couple of hundred at any one time, they experienced in their small world much of the worst, but also the best, that American society has offered. The authors are white and thus tell the story from a white perspective, a point of view reinforced by the documentary record, most of which was recorded by whites. 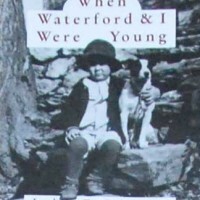 But over the past two decades the principal author has interviewed, worked with, and enjoyed the support of many former members of Waterford’s black community as well as descendants of earlier African-American residents.